ELIZABETHTOWN, NC – Jeep, like most automotive companies, is aiming a lot of their marketing toward millinials and younger buyers. Jeep is currently aiming to capture the attention of hip, young buyers by using the song “Renegades” by X Ambassadors to promote the Jeep Renegade SUV and attract a younger audience with a brand new commercial campaign. Jeep is marketing the all-new Renegade SUV to millinials because they are quickly becoming the most important target market in the world of sales. Jeep has always had the belief that partnerships with movie and music industries are the best way to market automobiles and highlights that evolving partnership with Interscope Records. This specific commercial shows groups of men and women in their 20s taking on a mix of urban and rural adventures. The commercial and the song are designed to evoke this sense of exploration and adventured, and includes the line “Long live the pioneers, rebels and mutineers, go forth and have no fear, come close and lend an ear”. 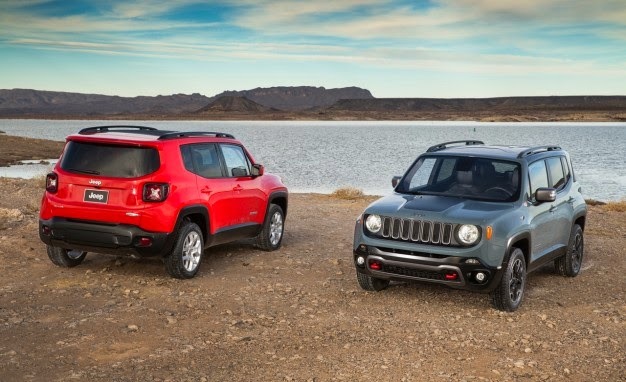 The Renegade is a subcompact SUV, and is the most important vehicle that Chrysler will launch this year, and the company is hoping the subcompact SUV will hit both the U.S and International market with a bang.